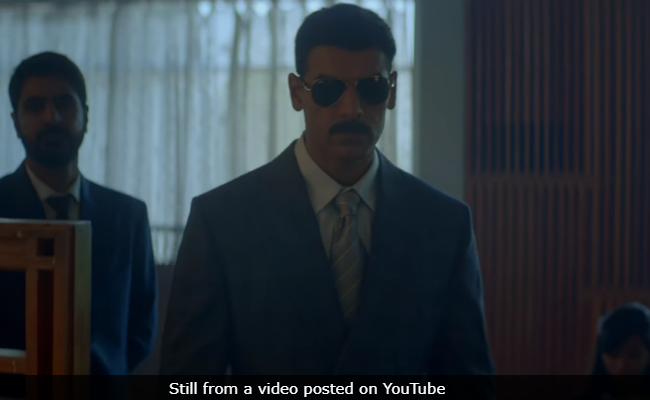 Romeo Akbar Walter is "based on the true story of a patriot"
On the eve of Republic Day, the teaser of John Abraham's spy thriller Romeo Akbar Walter, also known as RAW hit the Internet and it went crazy viral. The video begins with a visual of a mother narrating how her son is excited about the Republic Day parade. Film's lead actor John Abraham, who plays a spy in the film, can be seen sporting three drastically different looks as Romeo, Aknbar and Walter. John Abraham's performance in the one-and-a-half minute video can be described as intense. On Friday night, John shared the teaser on social media and wrote: "As we celebrate our nation's 70th Republic Day, let's remember those who have lived and died to protect our freedom. Presenting the teaser of Romeo Akbar Walter." In his caption, John revealed that the film is "based on the true story of a patriot" and that the film will hit the screens on April 12 this year. Before the release of the teaser, John Abraham introduced his fans to his third and final look from the film. John shared his Walter look and wrote: "Where do you draw the line when you live and die for your country? Presenting 'Walter' from Romeo Akbar Walter. Based on the true story of a patriot." Romeo Akbar Walter also features Mouni Roy, Jackie Shroff, Suchitra Krishnamoorthi and Sikandar Kher. The film has been directed by Robbie Grewal and it has been co-produced by Viacom 18 Motion Pictures, KYTA Productions and VA Film Company.